Seasonal cycles affect the various processes of tree root relationships - what we see above is only a small part of the complex ebb and flow beneath our feet. There are two types of fungi that colonize tree roots: Arbuscular fungi and Ectomycorrhizal fungi. Ectomycorrhizal fungi spread their strands AROUND root cells, forming a 3-D spongy structure called the Hartig net. The tip of the root becomes enveloped with a pale mantle, easily seen with the naked eye. 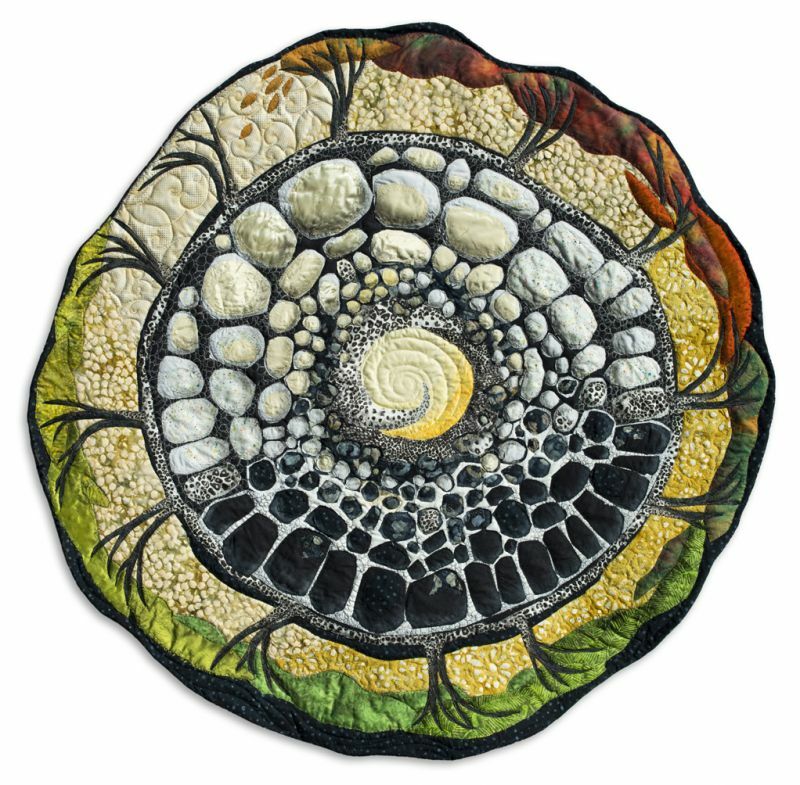 For this piece, I used a cross section of root as a model for the centre, to show the way Ectomycorrhizal Fungi surround the outer parts of the cells within the roots.